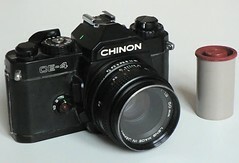 A 35 mm SLR with full manual controls. A great camera. The lens can be used with my Pentax K-R.